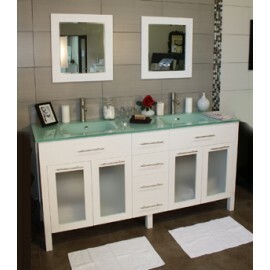 Home » Contemporary » 50" - 79"
Solid wood, 1” thick Quartz top with White rectangle undermount sink, adjustable leg levers with 4”x..
White Carrera top with white rectangular ceramic and undermount basin Matching mirrors included ..
Cardiff 60" Espresso, glass top w/integrated glass sinks, glass doors. 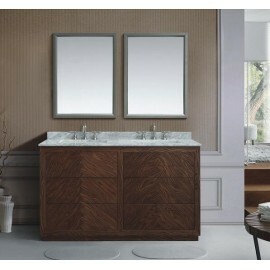 Includes soft close slam..
Cardiff 60" Espresso, glass top w/integrated glass sinks, solid doors. 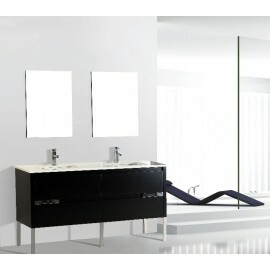 Includes soft close slam..
Cardiff 60" Espresso, quartz top w/integrated ceramic undermount sinks, glass doors. 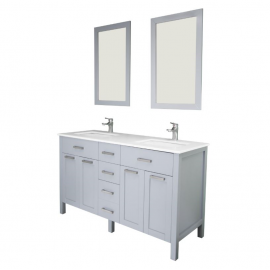 Includes soft c..
Cardiff 60" Espresso, quartz top w/ceramic undermount sinks, solid doors. 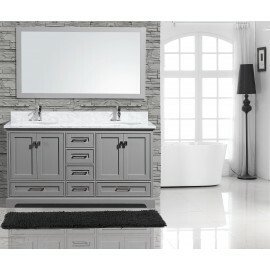 Includes soft close slam g..
Cardiff 60" Gray, quartz top w/ceramic undermount sinks, solid doors. 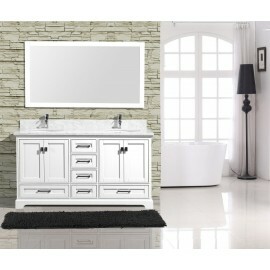 Also, available with single wh..
Cardiff 60" White, glass top w/integrated glass sinks, glass doors. 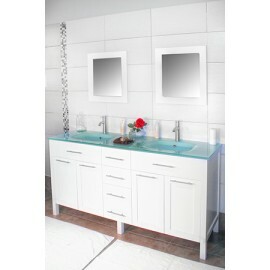 Includes soft close slam gu..
Cardiff 60" White, glass top w/integrated glass sinks, solid doors. 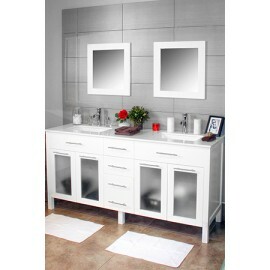 Includes soft close slam gu..
Cardiff 60" White, quartz top w/integrated ceramic undermount sinks, glass doors. 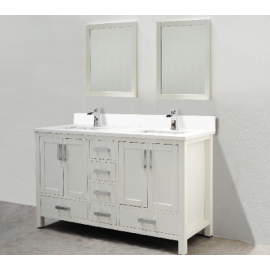 Includes soft clos..
Cardiff 60" White, quartz top w/ceramic undermount sinks, solid doors. 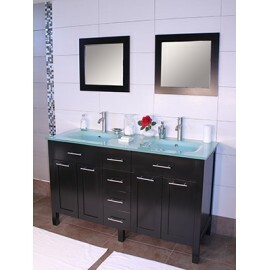 Includes soft close slam guar..
Cardiff 72" Espresso, glass top w/integrated glass sinks, glass doors. 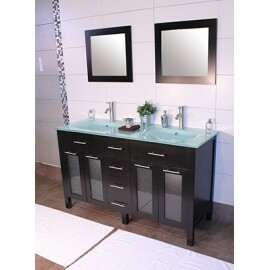 Includes soft close slam..
Cardiff 72" Espresso, glass top w/integrated glass sinks, solid doors. 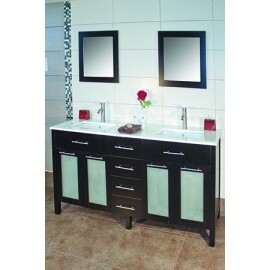 Includes soft close slam..
Cardiff 72" Espresso, quartz top w/ceramic undermount sinks, glass doors. 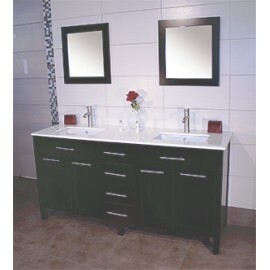 Includes soft close slam g..
Cardiff 72" Espresso, quartz top w/ceramic undermount sinks, solid doors. 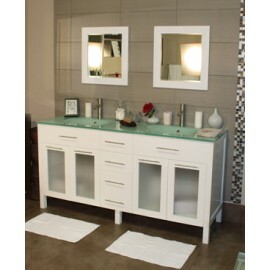 Includes soft close slam g..
Cardiff 72" White , glass top w/integrated glass sinks, glass doors. 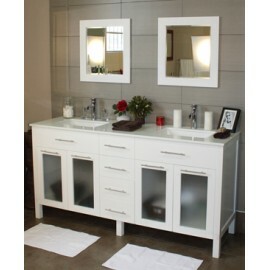 Includes soft close slam g..
Cardiff 72" White, glass top w/integrated glass sinks, solid doors. 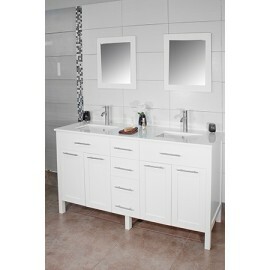 Includes soft close slam gu..
Cardiff 72" White, quartz top w/ceramic undermount sinks, glass doors. 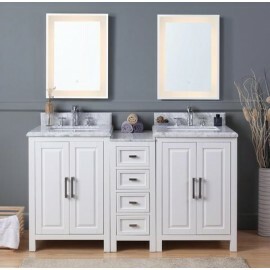 Includes soft close slam guar..
Cardiff 72" White, quartz top w/ceramic undermount sinks, solid doors. 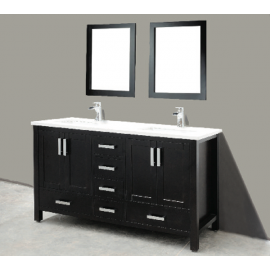 Includes soft close slam guar..
All wood vanity in black and white matte finish with ceramic top with integrated b.. 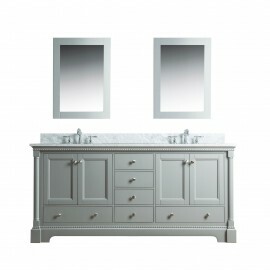 The Fletcher vanity comes in three pieces, left and right sink cabinets along with a center cab.. 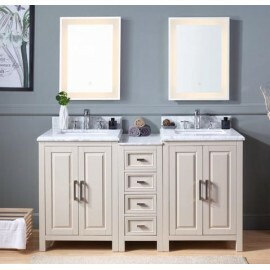 The Larvotto double sink modern bathroom vanity is made out of the finest select birchwood.. 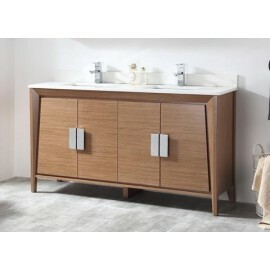 The Larvotto double sink modern bathroom vanity is made out of the finest select birchwood. Solid, h.. 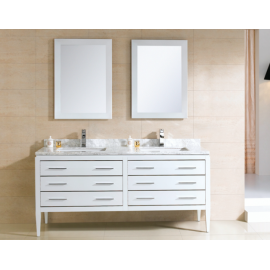 The Madison vanity is constructed with furniture-grade solid wood. 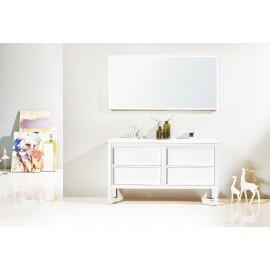 The surface is finished with eith..